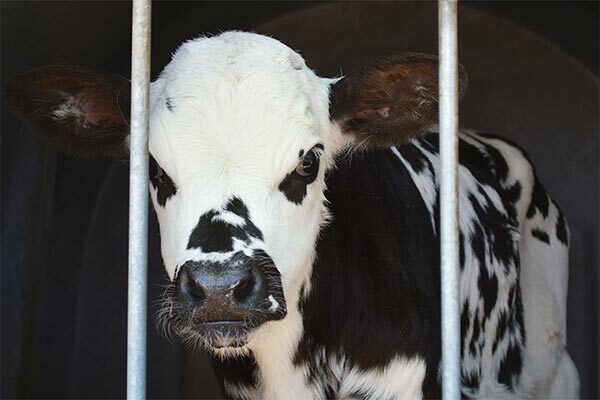 15-08-2018 Animal Transports EU Live Exports Created by Animals' Angels e. V.
With two teams, Animals‘ Angels inspects animal transports at the Bulgarian-Turkish border. 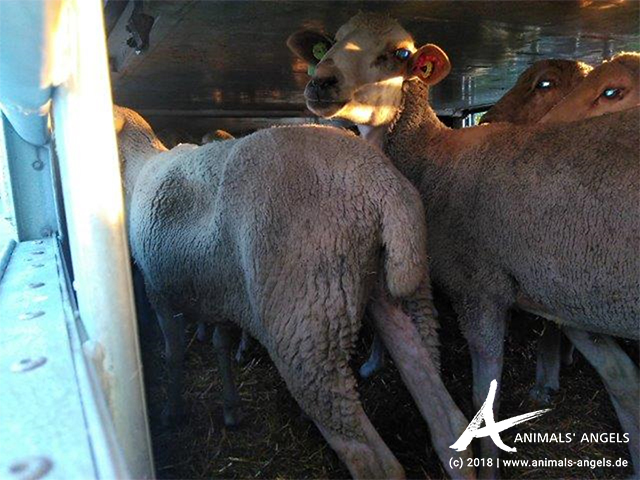 Besides countless bulls and heifers, many sheep are transported from the EU to Turkey. One of these transports again shows us very clearly how unpredictable incidents in this trade are. 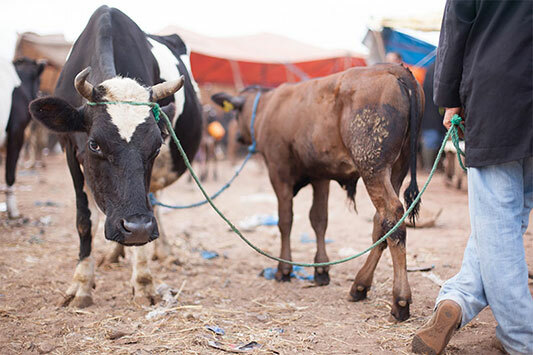 Even when all precautions have been taken to at least transport the animals in compliance with the law, incidents still happen – often with bad consequences for the animals. The first time we spot the sheep, they look surprisingly good. They have enough space and clean bedding. Their final destination is still 700 km away, so one could assume that they would be arriving there in about 10 hours to be unloaded and rest. But this isn’t the case. Due to reasons unknown to us, they are still at the border the next day’s evening. Their flanks are sunken in now, so their stomachs are empty, and they are hungry. The next day we find them at customs ground near Istanbul, still being on the vehicle, parked in the blazing sun between cargo transports. By this time, they do not look good any more: they look apathic and are visible exhausted. The bedding is dirty, wet and full of feces. Shortly after we arrive, their transport continues. 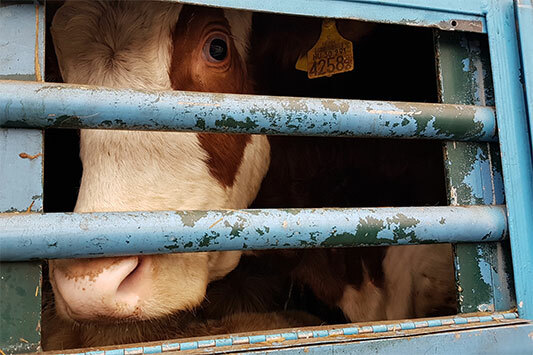 We cannot say when they have reached their final destination, but this case makes clear how important our documentations are to bring the suffering of the animals to the authorities’ attention – who so readily like to claim that everything is fine.